Serving The South Shore for Over 25 Years! Electrical problems can occur at any time. Wiring issues are not only inconvenient, they can be dangerous if not repaired. 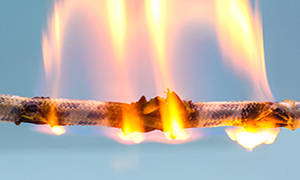 Experiencing sparks, a power outage or even a partial power outage, could mean there is a major electrical breakdown that requires immediate attention. Hurley Electric is available 24 hours a day, 7 days a week, call anytime for troubleshooting service, diagnostics and repairs to your electrical system, For comfort, temporary power can be provided by generators. With over 25 years in the electrical industry, Hurley Electric has the knowledge to provide you with the best quality electrical services available. To keep your family and home safe, Hurley Electric uses only the highest quality parts and equipment manufactured by the most respected manufacturers. Hurley Electric services every size home, new, old, single family and multi-family homes, single units to entire condominium and apartment complexes. Hurley Electric’s skilled electricians have extensive knowledge and years of experience in high voltage wiring, major installations of various equipment, troubleshooting and repairs of all types in commercial buildings, manufacturing plants and industrial companies. 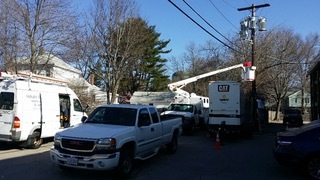 Bucket truck services are available to provide efficient parking lot lighting installation and repair and sign repair. 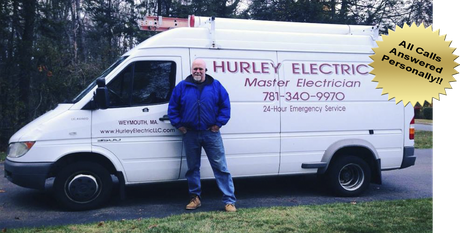 Hurley Electric in South Weymouth, MA, is the go-to company if your home or business is experiencing an electrical emergency. When you turn to Hurley Electric, you can be confident that they have the knowledge and skills to get your electricity up and running properly and quickly. Your safety is paramount! Hurley Electric provides superior electrical services for residential, commercial, and industrial customers throughout the South Shore. For your convenience and to provide you with the best customer experience, you can count on one of their team members to answer every call. Hurley Electric is licensed by the Massachusetts Department of Professional Licensure and is fully insured. 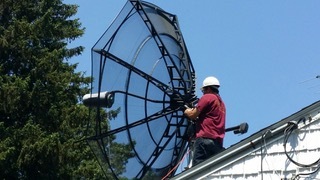 They provide the highest level of expertise, professionalism and personalized services in every job for over 25 years. Hurley Electric is also called in regularly to repair electrical work provided by unlicensed and unskilled workers or handymen. Customers will receive personalized services to meet their particular needs. Special care is taken to protect your property while work is being done and your property will be thoroughly cleaned up before they leave. Hurley Electric is proudly committed to excellence and regularly earns customer satisfaction and a better than expected customer experience, which is why they have a high regular repeat customer base. for more news and information! © 2019 Hurley Electric. All Rights Reserved.